Huawei’s looking to take things even further. 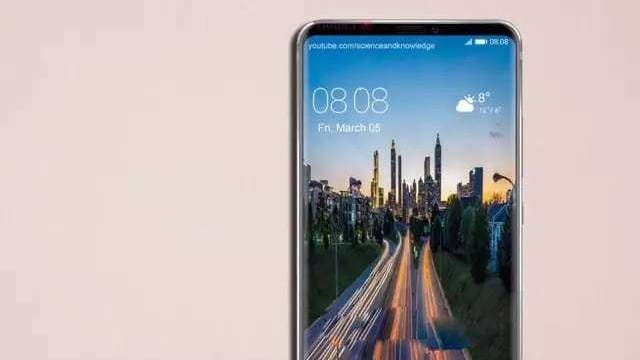 The rumor mill’s very active for the company P20 smartphone. While there’s no news for launch date, right now, that doesn’t seem to matter much. Looks like Huawei’s really understood the importance of photography on a smartphone, unlike Nokia. And it’s looking to deliver on the P20. How so? Take a look below to find out more. Right now, there isn’t much to talk about in the flagship smartphone world. The rumor mill’s slowed down for Samsung’s upcoming Galaxy S9 and S9+. Not that we’re complaining. A lot has surfaced for the pair already. Right now, leaks suggest that the S9 and S9+ will not feature major upgrades over their predecessors. Samsung will look to perfect its features for the S8 lineup, which isn’t a bad thing. The S8 and S8+ are undoubtedly the best smartphones in terms of design and aesthetics that the company’s produced in quite a while. However, while the Korean tech giant is rumored to introduce two camera lenses on the S9+, Chinese smartphone manufacturer Huawei is one step ahead. The company’s upcoming P20 is another regular feature of the rumor mill. And the smartphone’s distinctive feature is that it will feature not two, but three camera lenses, if the rumor mill bears fruit. Today, some fan made renders for the smartphone come to light. Take a look. As you can see above, a 40MP rear camera on a smartphone is simply out of this world. Of course, that’s if Huawei manages to work magic with the P20’s batteries as well. But right now, we’re going to focus on today’s concept video. In addition to a triple camera setup, the P20 is also depicted with an edge to edge display. This isn’t OLED but the screen size will nevertheless make for good viewing. There’s a front mounted fingerprint sensor as well, which doesn’t look too comfortable to use. Depending on the bottom bezel’s actual size, that’s going to be a pretty tiny space when combined with an 18:9 aspect ratio. There’s a reason Samsung chose the S8’s rear and Apple skipped fingerprint sensing entirely with edge to edge displays. Thoughts? Let us know what you think in the comments section below and stay tuned. We’ll keep you updated on the latest.